This book is intended for use in a one- or two-semester course in environmental science, human ecology, or environmental studies at the college or advanced placement high school level. Because most students who will use this book are freshman or sophomore nonscience majors, the authors have tried to make the text readable and accessible without technical jargon or a presumption of prior science background. At the same time, enough data and depth are presented to make this book suitable for many upper-division classes and a valuable resource for students who will keep it in their personal libraries after their formal studies are completed. 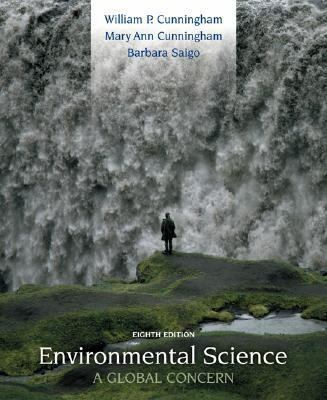 The goal of this book is to provide an up-to-date, introductory view of essential themes in environmental science along with emphasis on details and case studies that will help students process and retain the general principles.Cunningham, William P. is the author of 'Environmental Science A Global Concern', published 2004 under ISBN 9780072951721 and ISBN 0072951729.